The Atari Jaguar Collection Download includes 63 Games. These can be played through the "Project Tempest" and "Virutal Jaguar" emulators on the PC. 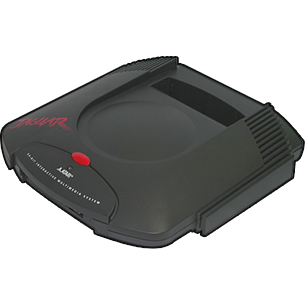 The Atari Jaguar is a video game console, released by Atari Corporation in 1993. It was designed to surpass the Mega Drive/Genesis and the Super Nintendo Entertainment System in processing power. It was in competition with 3DO and later consoles that made up the Fifth generation of video game consoles. The console was first released in selected U.S. cities in November 1993, and the rest of the country in early 1994. Although it was promoted as the first 64-bit gaming system, the Jaguar proved to be a commercial failure and prompted Atari to leave the home video game console market. Despite its commercial failure, the Jaguar has a large fan base that produces homebrew games, making the console a cult classic.